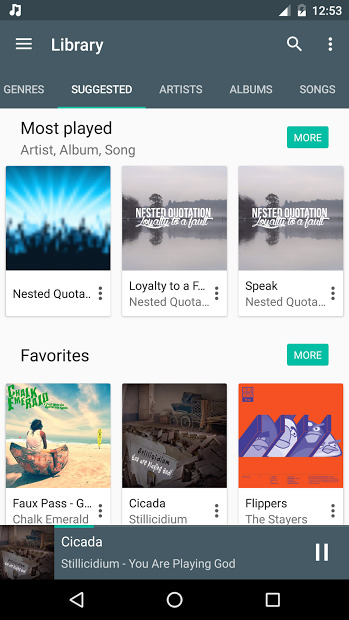 Shuttle Music Player is an intuitive, lightweight and powerful music player for Android. It has a lot of features like, 6-band equalizer with bass boost, Gapless playback, Lyrincs or Tons of theme options, including light & dark mode among others. The only con we had its that to enjoy this music player on our Chromecast, we must upgrade to the pro version of the app. 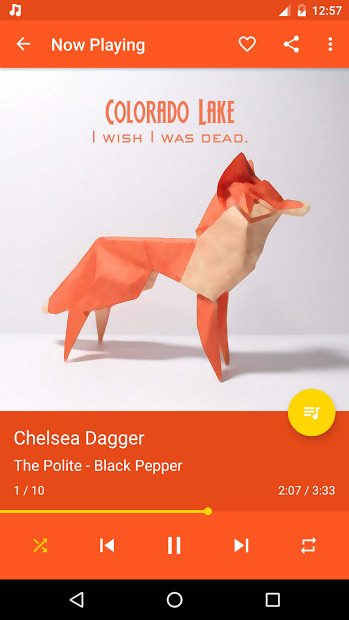 But in conclusion: Shuttle Music Player contains everything you need from a music player… and a little bit more.